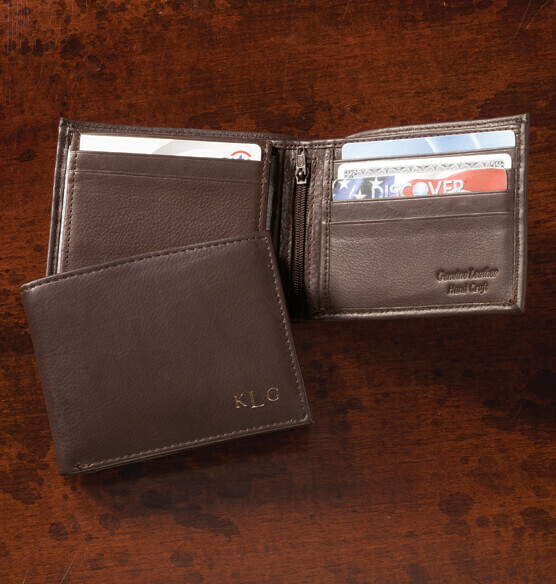 An updated take on the classic leather bifold wallet, this Personalized Leather Bifold Brown Wallet is designed to hold everything he needs each day. 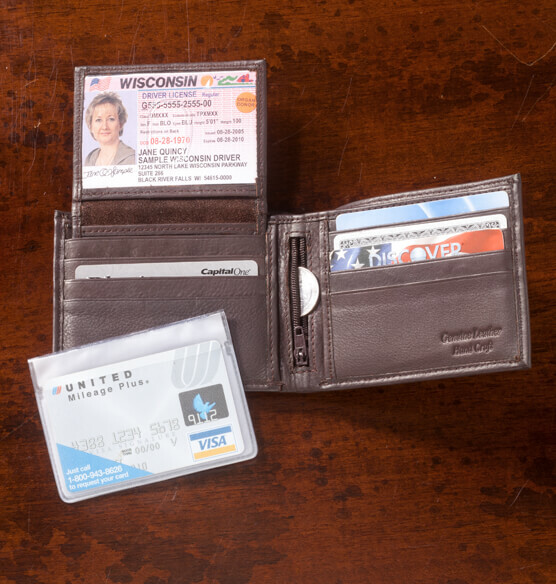 Made from genuine leather in brown, the bifold wallet features nine clear sleeves, six credit card slots, a clear credit card or ID slot, and a zippered center compartment for concealing bills, receipts or other important papers. Add a monogram to make a great gift idea.